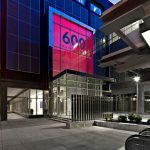 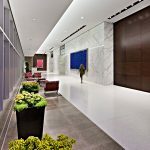 Occupying a full city block in the revitalized Mercantile Exchange District of St. Louis, the renovated and reimagined 600 Washington Avenue office tower and multi-use complex is the new anchor of an expanding urban commercial and residential neighborhood. 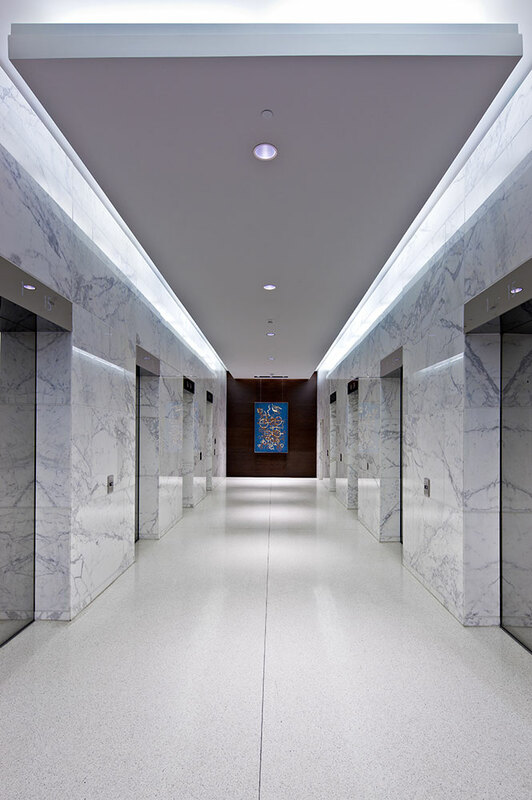 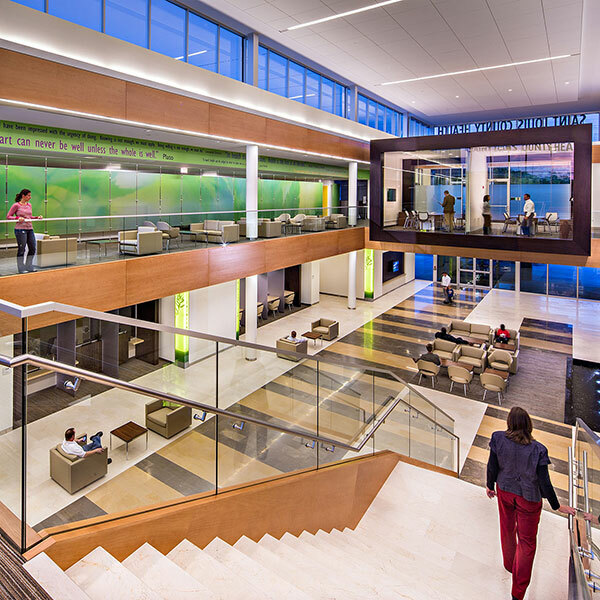 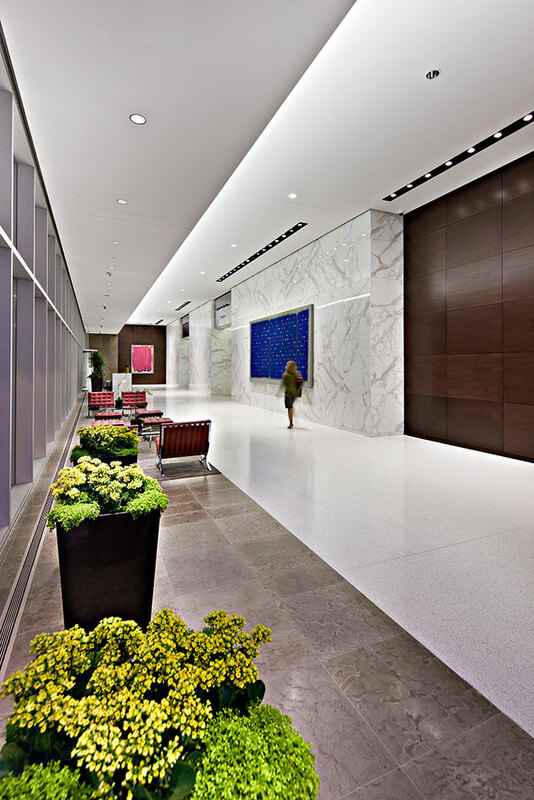 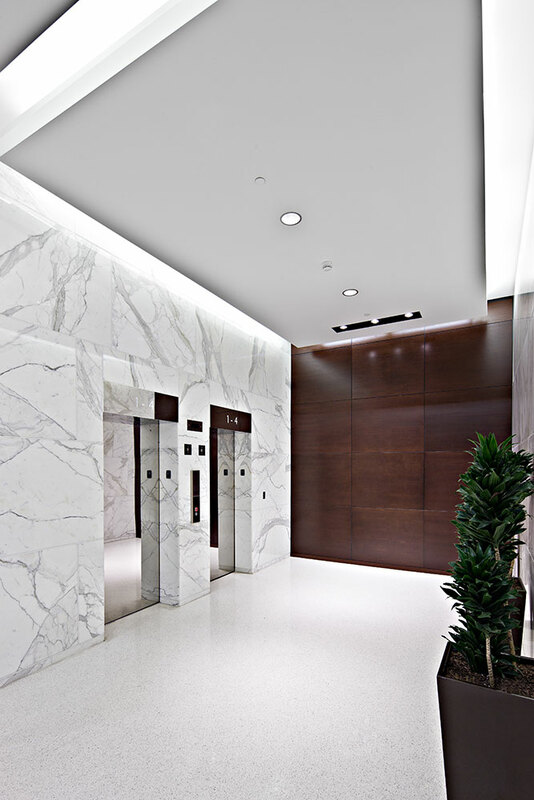 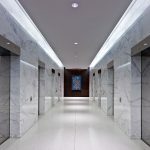 The architectural design and facelift reorients the 30-year old Class-A corporate tower to Washington Avenue with an expanded entry and lobby gallery. 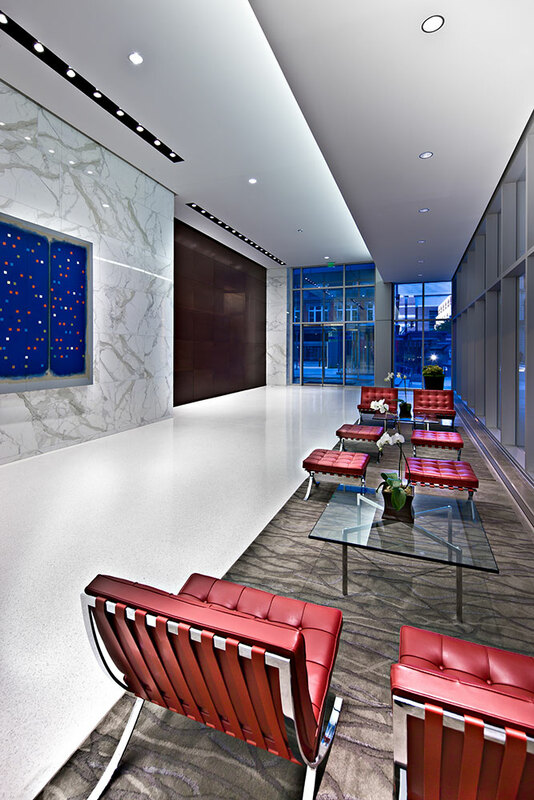 Lighting emphasizes the new lobby presence along this major downtown thoroughfare helping to entice visitors and possible new tenants. 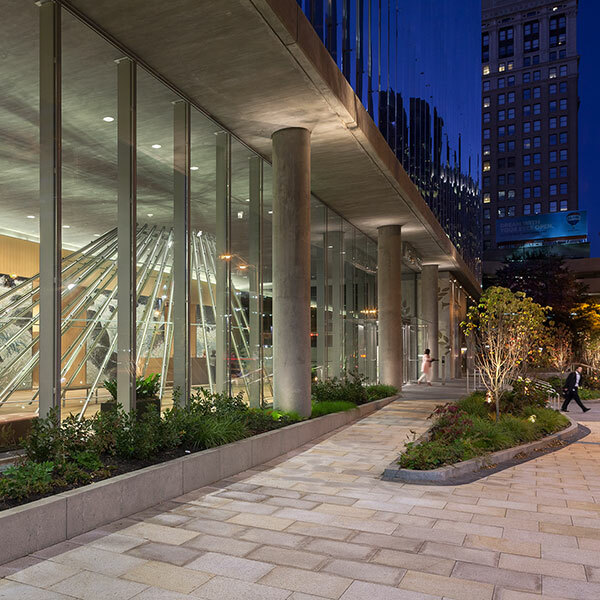 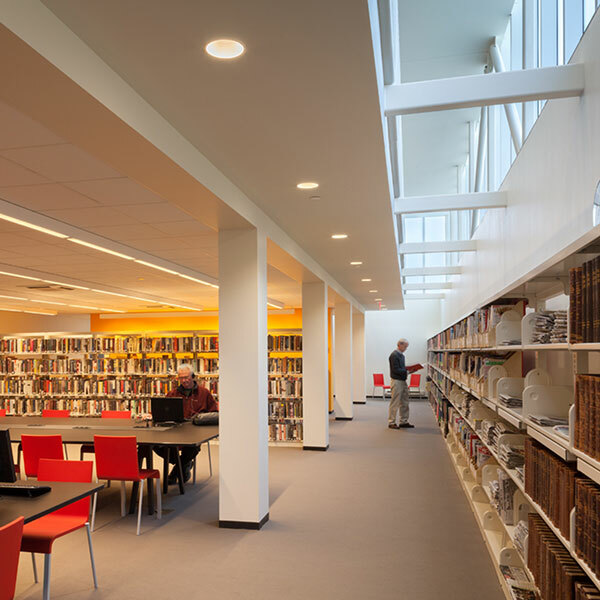 Dramatically revealed materials and visual wayfinding cues are apparent to passersby and users alike. 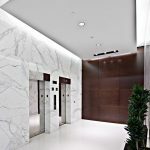 Lighting in the adjacent plaza reinforces the more visually open arrival sequence and adds much needed visual assurance with regards to safety and security. 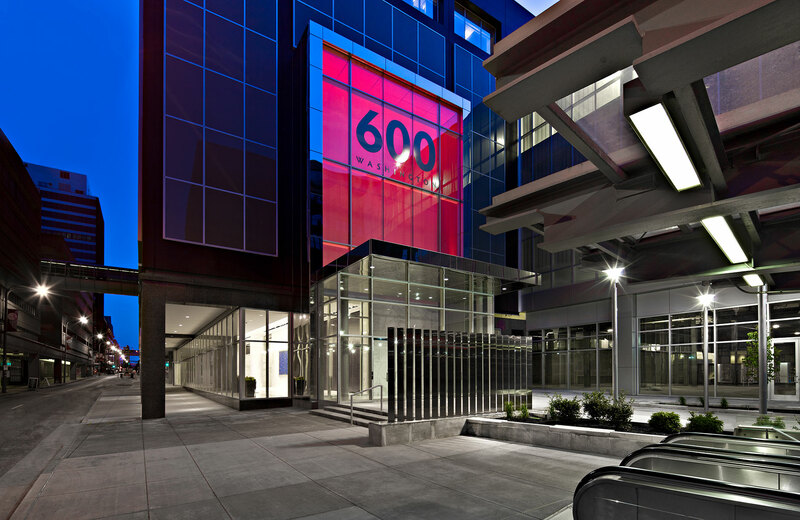 At the main entry facade an internally illuminated vestibule extension brings nighttime attention from off street and serves as community engagement by using color to acknowledge seasonal sports teams and special urban events.